Camino Real Monterrey is a luxury 5* resort located in Monterrey-Valle, Mexico. It features 254 rooms and swimming pools. 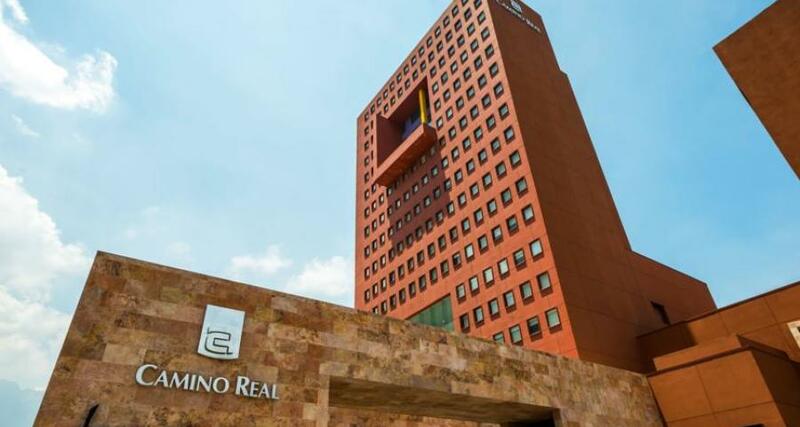 On your next visit to Monterrey, stay at Camino Real Monterrey, one of the most renowned hotel chains in Mexico. The original architecture and décor of the hotel, along with its modern guestrooms and amenities, perfectly compliment the service and personalized attention that you'll receive at this exclusive hotel. Enjoy a comfortable and pleasant stay! The exclusive Camino Real Monterrey offers luxurious services and amenities for the discerning traveler. Enjoy a range of modern amenities, including restaurants, a bar, rooms for meetings and events, an indoor pool, a fitness center with a sauna and steam room and beautiful guestrooms, as well as the traditional service characteristic of the Camino Real chain of hotels. If you're a member of the Circulo Real program, you can earn points during your stay to redeem in the hotel restaurants. Don't forget to bring your card!